December is the time to look back and sum up what the past year looked like for us. We’ll be devoting a couple of this month’s Twitter chats to our platform and what we’ve been doing to improve your experience and results! 1. We went through the slight re-design. While we hope you like the slightly improved look, the real goal of the redesign has been responsiveness! Mobile user experience has been improved, so you can buzz from your smart phones, dear buzzers! 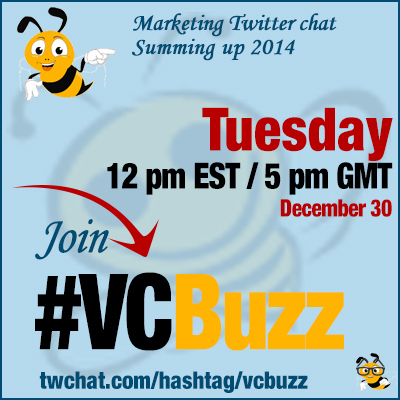 @vcbuzz I’ve only been around at #vcbuzz for around 45 days. Never tried it on mobile. Well done though! Note: If you come across any bugs, please contact us. 2. We made the site even faster by letting you share the project with no page re-load. Sharing projects from VCB has actually become an enjoyable experience for us personally and hopefully for you too! 3. We have partnered with MyBlogU to help you accomplish your New Year’s resolutions! All the participants of the #MBUstorm challenge will get 200 free VCB credits you’ll be able to use to boost your content traffic and exposure. One of the participants will win $1000 and there are more awesome prizes! Join the challenge today! You have a bit more than a week to join! This year we launched our free Udemy course offering you the collection of our video tutorials and tips. Please enroll and review! That will be a great gift to us! 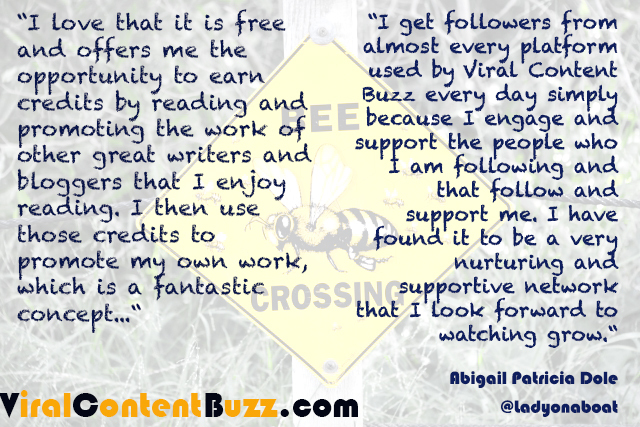 Our featured user @IvanaZuber gave us a great review: Make Your Blog Go Viral! Build Some Buzz! 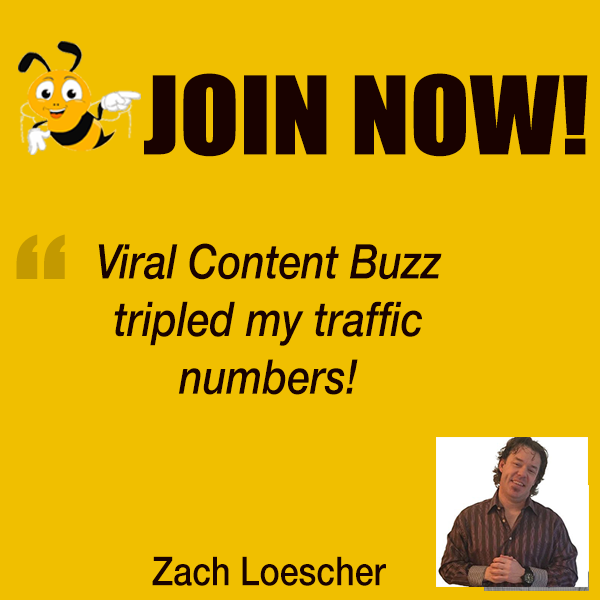 Use Viral Content Buzz! Please share it around! In spring 2014 @zippymagazine wrote a detailed VCB review:How to Make Your Content Go Viral with ViralContentBuzz? A few weeks ago our featured mentor @Angelcbali made the video tutorial for using our platform here. Angel also reviewed us here. A few of our members approached me to share their ViralContentBuzz case studies. Those stories actually show the platform is working much better than we ever anticipated! All in all, that was a hard but an awesome year! We’ll look for more awesomeness to come in 2015!